The Europe’s largest event in intelligent transport systems & services will be held in Glasgow, Scotland, 6-9 June 2016. The Congress theme is “Delivering Future Cities Now” and is based on Glasgow’s pioneering work on Smart Cities and Scotland’s long history of innovation in Intelligent Traffic Control. ITS&S presidium and office wish to all members and friends of the ITS&S a very merry Christmas, a lot of surprises and nice meetings. We wish you a lot of happiness, health, and many personal and professional success in the new year! For the first time, leading figure from region of Central or Eastern Europe was elected on the prestigious post of chairman of ITS Nationals, a network of 27 national associations of transport telematics. On March 17th the new Chairman of the Network became Mr Roman Srp, vice-president of Czech and Slovak ITS&S. He was elected for a two-year period. Since 2006 Mr Srp as a vice-president of Czech and Slovak ITS&S defends interests of Czech telematics. The association ITS&S currently gathers together 77 companies and institutions from both private and public sectors, which operate in the Czech Republic as well as abroad. New ITS Nationals Chairman’s goals are more intensive coordinated support and mutual cooperation of Network members, i.e. 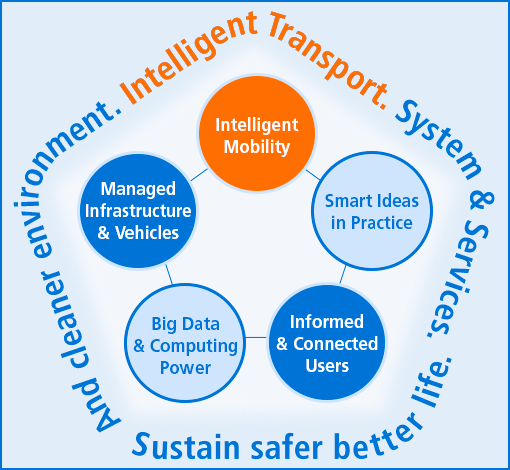 national associations, for more effective deployment of intelligent transport systems in practice across Europe. Aforementioned will surely appreciate not only representatives of national and regional governments, but ultimately drivers, passengers and corporate users of transport infrastructure. we would like to inform you about the 11th year of the European Transport Congress, which will be held in the premises of the National Technical Library in Prague on 19 - 20 September 2013. The ETC 2013 Prague congress is organized by the European Platform of Transportation Sciences in collaboration with the Faculty of Transportation Sciences, Czech Technical University in Prague and under the auspices of the President of the Czech Republic Miloš Zeman, Member of the European Parliament Boguslav Liberadzki, Minister of Transport of the Czech Republic Zdeněk Žák and other important personalities. According to opinion of organizers the transportation sciences can contribute to the solution to not only current transportation problems but they also may become an instrument of further sustainable development of our society. The motto of this year congress is therefore "Transport as a Scientific Discipline". The registration form and the preliminary programme can be found here: www.etc2013.fd.cvut.cz. Position paper on "Electronic Fare Management Vision in public transport in the CZ in 2023." ITS&S Working Group "Payment cards in public transport" after six months of discussion came to final version of position paper on "Electronic Fare Management Vision in public transport in the CZ in 2023." The working group consists of ITS&S members – representatives of EFM technology suppliers and ITS&S members – EFM ordering parties of Prague and Pilsen. The meetings were also attended by representatives of the Association of Czech Public Transport Organisers and Czech Railways. The position paper represents consensual opinion of Working Group members, it was approved by the ITS&S Presidium and now it has been released as the official opinion of the ITS&S. The document in Czech is available here. ITS&S and CTU Prague became partners of EASY OBU European research project co-funded in the 7th framework programme of the European Commission. The aim of the project is development, validation and market research of a specific ITS system, that would meet demands of those applications requiring robust localization of vehicles, persons and/or goods. Such localization should be resistant to the outage of a satellite navigation signal. More information on the WG is here. Official Easy OBU project info is here. The European Commission launched a competition for the best integrated multimodal and cross-border journey planner. Czech IDOS is among the twelve selected planners, which have qualified for the second round. More information about the competition, which runs until January 13, 2012 can be found here. Readers can vote (and support IDOS) on this page. On December 1, 2011 in Prague House in Brussels, the Czech ITS Forum on Door-to-Door Seamless Mobility & Public Transportation Management was held. More information about the event, collection of presentations, forum conclusions and other can be found here. On 4th May 2011, there was a meeting of top representatives of the Confederation of Industry of the Czech Republic, the Union of Transport of the Czech Republic, Association of Small and Medium-sized Enterprises and Crafts of Czech Republic, ČESMAD BOHEMIA, PPP Association, Association for Transport Telematics (ITS&S) and the Association of Building Entrepreneurs. The conclusions of this meeting were sent to the Minister of Transport of the Czech Republic and the Chair of the Economic Committee of the Czech Parliament and can be found here. TOP EXPO company organizes the 8th annual nationwide competition Czech transport Construction & Technology 2010. Road constructions, road construction sections, separate buildings and technologies that have been put into operation during the period from 1. 1. 2010 to 31. 12. 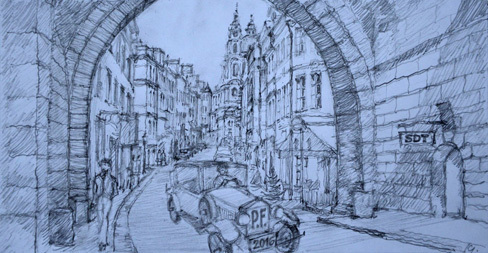 2010 may be submitted to the competition. The deadline for submitting applications is 9. 5. 2011. Press release can be downloaded here. Detailed information about the competition is here. On March 8, 2011 the Subcommittee for Transport of the Economic Committee of the Chamber of Deputies of the Czech Parliament hold seminar on: Experience with the introduction of tolling in Czech and Slovak Republics. ITS&S contribution can be downloaded here. ITS&S Presidium approved the text of a position paper on the needs of traffic data: Traffic data: necessary condition for an efficient transport system in the country. On 2. 2. 2011 the TOP EXPO company in co-operation with ITS&S hold the 4th Czech Transport Forum - How information technologies will change transport in the Czech Republic and the EU? Information about the event, including lectures and gallery archives is here. Forum was held on 16 - 17 December 2010 in Prague. Details can be found here. Complex and practical course concerning space technologies was held on CTU in Prague from 1. 11. to 10. 12. 2010. More information can be found here. ITS&S prepared a unique recommendation Basic technical parameters of EOC systems in the Czech Republic. Recommendation shall be used by customers and suppliers of EOC as an initial technical basis, until such time as a national EOC interoperability standard is available. The need of EOC standard points the 5th ITS&S position paper. ITS&S Presidium approved position paper – The development of electronic fare collection systems for public passenger transport in the country. ITS&S Presidium approved position paper – The need to develop a Strategic Plan for ITS deployment in the Czech Republic. ITS&S Presidium approved the Strategy for sustainable financing of core road network in the Czech Republic a The public tendering in ITS – position papers, which build on The manifest of ITS deployment in the Czech Republic until 2020. The Official Journal of the European Union published Directive No. 40 of 7 July 2010 on a framework for the introduction of intelligent transport systems in the field of road transport and interface with other transport modes. The directive is available here. ITS&S and Czech association of public transport organizers (CAODV) signed a memorandum on a mutual co-operation with an aim to ensure a future compatibility & interoperability of electronic ticketing systems in public transport in the Czech Republic. Full text of the memorandum in Czech language is here. !!! NEW ADDRESS OF ITS&S OFFICE !!! !!! Please do not sent us any post correspondence to our office address at Ohradní 65, Prague. ITS&S together with Kapsch Telematic Services hosted the meeting, that was held in KCP Holiday Inn hotel in Prague. Official thank you by ERTICO here. Information about ITS Nationals here. ITS&S in a co-operation with Czech Embassy in Sofia and Ministry of Foreign Affairs of the Czech Republic organized within Czech Technologies in Bulgarian Infrastructure framework next year of the export telematic conference on 28.10.2009. Similar as the two previous conference years, the conference attracted extraordinary attention to the Bulgarian side and created conditions for further successful commercial operation of the Czech telematic industry. Information about Czech Telematic Autumn 2008 here. Intelligent Transport Systems and Services takes charge of the organisation of ASE Prague 2009, XXII. international congress of space explorers, that will be held on 4 - 10 October, 2009 in Prague and other towns in the Czech Republic. ITS&S together with CTU Prague and EU PM Vladimir Remek's office hosted Executive Committee of ASE - Association of Space Explorers in Prague first week in June. Following astronauts took part in this meeting: Karol Bobko (USA), Reinhold Ewald (Germany), Chris Hadfield (Canada), ASE EXCOM president, Alexej Leonov (Russia), Vladimír Remek (CZ), Richard Richards (USA), Viktor Savinykh (Rusko), Jurij Usachev (Rusko) and Charles Walker (USA). The main reason of astronaut's stay was a preparation of the XXII. international ASE Prague 2009 Congress, that will be held in Prague, 4. - 10. October 2009. The astronauts also visited CTU in Prague, where they met with students and professors. 4th year of the Euro American Conference on Telematics and Information Systems will be held in Prague, Czech Republic on 3 - 5 June, 2009. 30.3. - 1.4.2009 in Prague. 1st year of the international road safety congress will be held 20 - 22 April, 2009 in SUZA Bratislava, Slovak Republic. Satellite navigation & communications on railways – the professional workshop organized by GUF (Galileo User forum) will be held on 6th October 2008 in Messe Dresden, Germany. Workshop is held by the Ministry of transport of the CZ with a support of the Associations for Transport Telematics of the CZ. 3rd international professional conference about implementation and application of information and communication technologies in all modes of transport will be held on 10 - 11 September 2008 in Bratislava. Professional conference and accompanying exhibition on the intelligent transport systems and services, telematic in utilities and on the practical possibilities of Czech industry. 2nd year of the conference linking on from ITS Sofia Czech Days 2007. ITS&S provides the auspice to SIRWEC (Standing International Road Weather Commission) conference on road whether telematics organized by Czech Hydrometeorological Institute and by Road&Motorway Directorate of the Czech Republic. The exhibition stands of ITS&S will be situated in Hall 1 (Europe) under No. 01.501C, inside the so-called ITS/IPTS Plaza space, next to the partner Holland association Connekt. For Tuesday 1 April from 12.00 a.m. to 1.15 p.m., ITS&S is preparing for audience of the accompanying conference programme of INTERTRAFFIC 2008 a seminar on preparation, construction, operation and prospects of the Czech tolling system. The objective of the seminar is on a concrete example to present competencies of the Czech transport-telematics industry. More information can be found here. On Thursday 3 April 2008, you can come to a small cocktail party we hold from 4.00 p.m. at the exhibition stand of ITS&S. You will have an opportunity to meet not only us, but first of all a lot of interesting foreign guests. Presentation from workshop can be found here. Images from workshop and photos of ITS&S stand can be foud here. ITS&S is co-organizing 2nd international NavAge '08 conference, which is held under the auspices of the Czech Parliament, Czech Government and the Czech Technical University in Prague (Faculty of Transportation Sciences) on March 26 - 28, 2008 in Prague. The main topic of the conference is navigation and positioning of persons, vehicles and goods movements in EC countries. A part of NavAge '08 will be a session of the X. European Interparliamentary Space Conference (EISC) that shall be dealing with a synergy of Galileo and GMES projects and their use in application and services. ITS&S is organizing 2nd year of the conference on application of transport telematics in electronic ticketing systems. With support of the Bulgarian Minister of Transport, Czech Ambassador to Bulgaria and co-organized Scientific & Technical Union of Transport of Bulgaria. We will present practical use of intelligent transport systems and services along transport corridors, in traffic control, in public transport and in corporate applications and logistics. Key road safety players from Central Europe (Czech Republic, Slovakia and Poland) met in Brno, Czech Republic 12 June 2007 to discuss actions regarding how intelligent safety systems for cars (eSafety systems) can help reduce the number of fatalities and injuries on Europe’s roads. Please let us know you about updated archive of contributions from conference ITS Prague 2007. We sent the archive access to each conferee. The parties, having regard to the importance of mutual relationships and willing to promote development of mutual cooperation.